In our lives, there are many changing seasons. We go from feeling joyful and close to the Lord, to grieving and feeling like he is distant. We wrestle with our doubts and questions, wondering if God even hears us or if he is even real. Our faith decreases when we look around us, not up God and His purpose. No Christian goes through this life without feeling weak in their faith at times, but we all can take comfort in knowing our God is Immanuel-- He is with us in every season, whether good or bad. 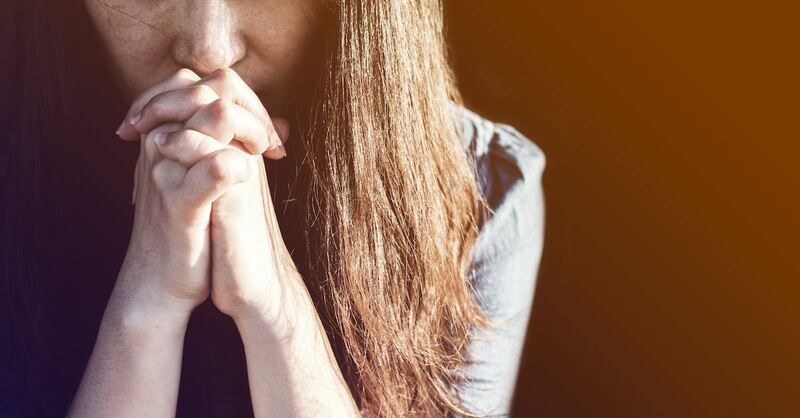 May these 10 prayers grow your faith, encourage your weary heart, bring you hope, and remind you of God's constant presence and endless faithfulness. Thank you for helping us to make it through this difficult year. Thank you that you’ve carried us through the uncertainty of deep waters, through the flames of trials, and through the pain of hard losses. We are constantly aware of how much we need you, your grace, your strength, your power working through even the toughest days. Help us to keep our focus first on you this season. Please forgive us for giving too much time and attention to other things, for looking to other people before coming to you first. Help us to reflect again, on what Christmas is really all about. Thank you that you came to give new life, peace, hope, and joy. Thank you that your power is made perfect in our weakness. Help us to remember that the gift of Christ, Immanuel, is our greatest treasure, not just at Christmas, but for the whole year through. Fill us with your joy and the peace of your Spirit. Direct our hearts and minds towards you. Thank you for your reminder that both in seasons of celebration and in seasons of brokenness, you’re still with us. For you never leave us. Thank you for your daily powerful Presence in our lives, that we can be assured your heart is towards us, your eyes are over us, and your ears are open to our prayers. Thank you that you surround us with favor as with a shield, and we are safe in your care. We choose to press in close to you today, and keep you first in our hearts and lives. Without you we would surely fail, but with you, there is great hope. Thank you for your healing power, thank you for bringing us into this new season up ahead. We look forward to all that You still have in store. Content gathered from "A Prayer for Hope after a Hard Year" by Debbie McDaniel. The world is changing so fast. Every day the media relays tales of those who disregard law, devise evil, and destroy both people and property. And because of what's happening, fear sometimes rises up in my heart—for me, for those I love, and for people everywhere. Yet I know you are in control. Content gathered from "A Prayer for Supernatural Protection" by Rebecca Barlow Jordan. I will run to you, Lord, whenever I feel afraid. I know your hand will protect me and lead me into your shadow, Almighty God, where I can rest and be safe. I know that bad things can happen to all of us, but you are always there to bring good out of it. And you’ve promised me that no one can harm my spirit/soul—the innermost part of me that you've destined for eternity. Because I belong to you, you will give me safe passage—all the way to my eternal home. But while I'm still living in my temporary house on earth, I pray you will not only guard my heart, but also my mind from foolish thoughts and actions. Expose the lies that try to twist the truth. Give me discernment, Lord, and wisdom for the good times, the hard times, and all the in-between-times. Let me never leave home without your protection and without the spiritual armor you've given me. I place my trust and dependence on you, today, Lord. Like the commander of a great army, you are in control, and you will go to any lengths to insure the safety of those under your wing of protection. I believe you want good, not harm for my life. And I am asking that you will replace fear with the confident assurance that you are always here with me, protecting me from harm. Others may try to hurt my body, Lord. But they can never destroy my soul. I'm safe with you, Jesus. When you don't know what to pray, Scripture provides the words for you! Use these prayers from Psalms to guide your request for help from God. Whether it's spiritual protection from Satan's attacks or physical protection, we can come to God and ask Him to be our protector and provider. Seek refuge and lean on God, not your own strength or abilities. God promises to be your refuge if you will let Him! Content gathered from "A Prayer for God's Help" by Lisa Whittle and "4 Psalms to Pray When You Need God's Help" by Jennifer Rothschild. Heavenly Father, please strengthen our hearts, and remind us to encourage one another when the troubles of life start to overwhelm us. Please guard our hearts from depression. Give us the strength up to rise up each day and fight against the struggles which seek to weigh us down. Amen. Content gathered from "A Prayer for When You Battle Depression" by John Barnett. Content gathered from "3 Simple Prayers You Need to Pray Regularly" by Christina Patterson. Dear Heavenly Father, Your ways are higher than my ways. I pray for power and strength to surrender my way and follow your best way. I trust You Lord. Dear Lord, times are really hard right now and life has really got me down. I don’t know what to do. I ask that You bestow Your wisdom upon me. I don’t want to lean on my own knowledge anymore, because it has let me down so many times. I need to hear Your voice. Give me the discernment to hear Your voice and Your voice alone. Speak to me in the way You know I will hear you best. I also pray for Your Will, Lord. I give You the praise and the glory in my circumstances because I know that I am exactly where You want me. I know this is to teach me something or to help me to grow. No matter what, I trust you and ask You to show what is best in this situation. In Jesus Name I pray. Amen. Content gathered from "3 Things to Pray When Life Gets You Down" by Carrie Lowrance. I want to worship only You. Take me deeper in my prayer life and in intimacy with You. Help me to walk in Your light and holiness. I want to know You more. “Blessed are those who have learned to acclaim you, who walk in the light of your presence, O Lord” (Psalm 89:15). Give me joy in Your presence and help me to bring joy into the lives of others. “You make known to me the path of life; you will fill me with joy in your presence, with eternal pleasures at your right hand” (Psalm 16:11). I want to dwell in Your house and gaze on Your beauty. I want to seek Your face. “One thing I ask of the LORD, this is what I seek: that I may dwell in the house of the LORD all the days of my life, to gaze upon the beauty of the LORD and to seek him in his temple… Hear my voice when I call, O LORD" (Psalm 27:4, 7). Content gathered from "A Prayer for God's Presence" by Debbie Przybylski. Father, I pray that You will visit us, and make Your presence known in my life and in my city. Give me faith to believe that You can change my city through prayer and through acts of love and compassion. Let Your Kingdom come on earth as it is in heaven. Help me to cultivate Your presence in my life. I choose to partner with You for transformation in my city. Help me to contend for my city in prayer with others. Remove the distractions in my life that keep me from Your presence [Repent of any distractions in your life]. I repent of any pride or personal idols that have taken me away from having you in first place and being completely Yours (Name them one by one - i.e. television material possessions, food, sports, work, etc.]. Take away any luke-warmness in my heart and set me on fire for You. Amen.